That’s a wrap! Tied things up at the studio for the week & ready for some weekend rest & relaxation. - But how about this shiny gold foil?! Loved creating the hand-drawn Crest for this suite & seeing it pop to life in the shiniest foil. 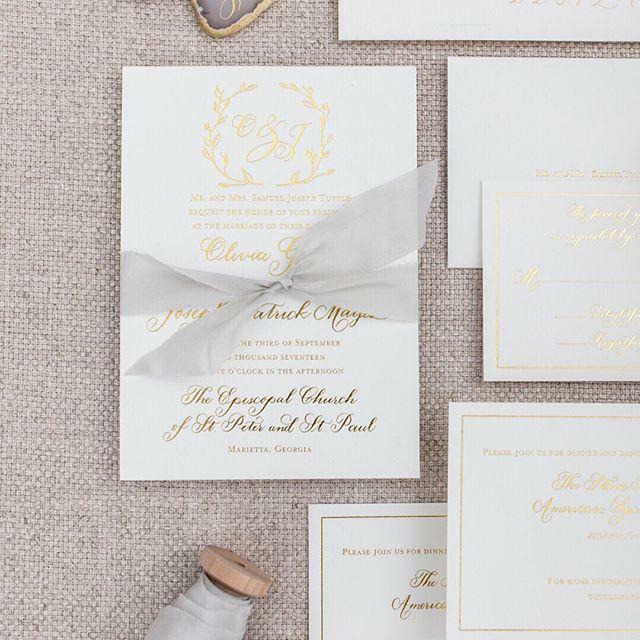 - Invitation design & print + calligraphy by us here @lhcalligraphy | photo by @annekim.photo.